Industrial Painting by Elite Finisher Inc. Working Within Your Budget – Elite Finisher Inc. provides prompt, professional service for affordable prices. Plan to stay within budget during renovations or new construction and while following your routine maintenance by trusting your industrial painting to Elite Finisher Inc.. 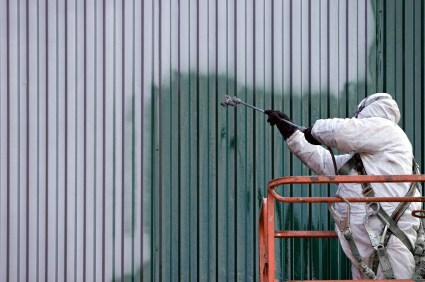 Using modern equipment and skilled painters, our services cover complete analysis and preparation, as well as high quality paint and coatings on every project. Elite Finisher Inc. offers exceptional value at prices that industrial clients can appreciate, helping them to compete in today’s business. Satisfaction Guaranteed – Surface preparation remains vital to a successful industrial painting project. Elite Finisher Inc. professionals remain dedicated to fully assessing the current condition of your facility, before moving into the careful preparation stage and on through painting and sealing. Complete customer satisfaction is our goal for projects of any size. Contact Elite Finisher Inc. to handle your industrial painting project professionally, using fully trained painters working with your budget and dedicated to your satisfaction. Our long list of loyal industrial clients speaks for itself. Call Elite Finisher Inc. at (651) 383-3700 today for more information.